Доступоно в цветах: Powder Blue. 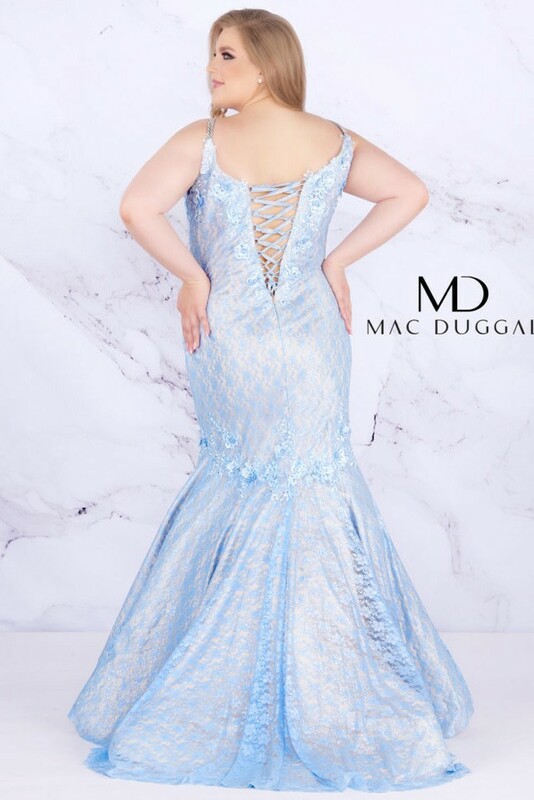 You will look stunning in this floor length powder blue mermaid gown. This style features a sleeveless V-neck. The dress is embellished with lace over taffeta and princess seams, beaded neckline and lace appliques on throughout the bodice.